As farmers know, proper airflow is critical for maintaining the long shelf life in potatoes, since they stay alive even after you harvest them from the ground. Leaving potatoes in warm temperatures causes them to sprout, and storing them in a dry environment will cause them to wither. As with most everything, balance is the key! 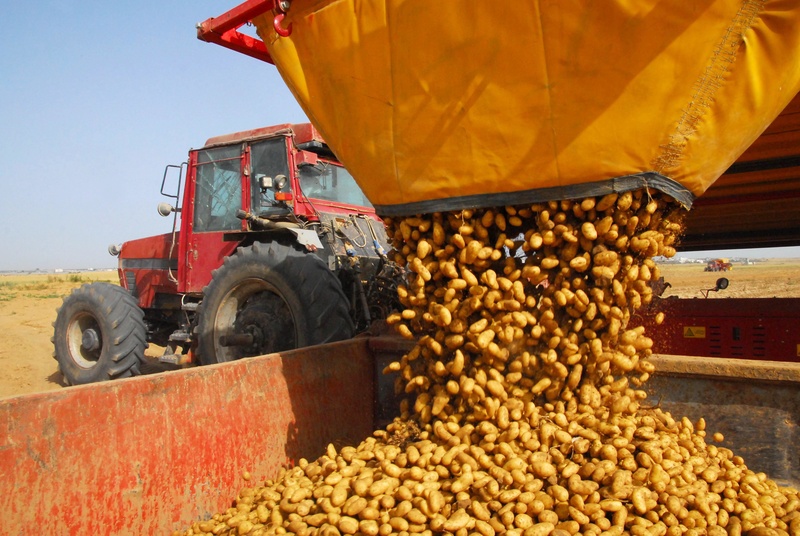 Whether farmers use bulk bags, traditional storage bins, or large buildings during this process, there are 3 crucial priorities to keep in mind for storing, shipping and delivering excellent potatoes. 1. Create a Nature-Like Environment. Potatoes grow in the dark, cool environment below the soil. 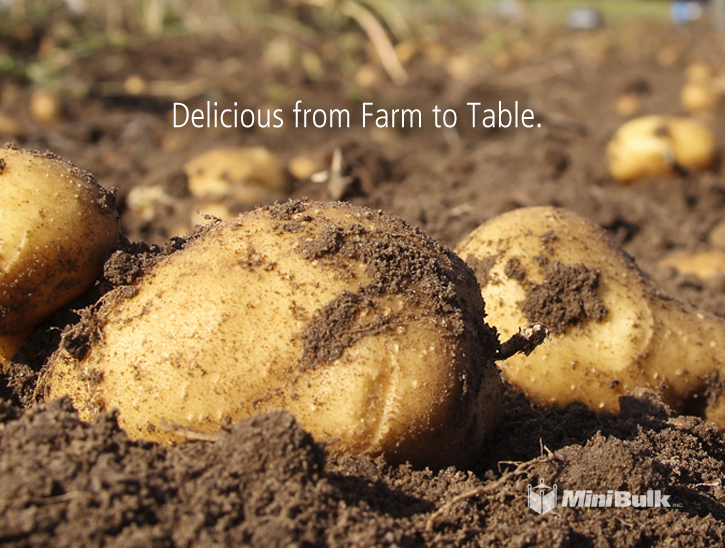 To maintain freshness, potatoes require the right conditions when they're being stored after harvest. Airflow is critical to avoid dampness, the enemy of fresh potatoes. Though they grow below the soil, soil clods kept on potatoes after harvesting can have a negative impact on airflow between stored potatoes and lead to spoilage-prone pockets of dampness or heat. The airflow, temperature and humidity levels of your potato storage must be monitored to prevent excess moisture or dehydration. 2. Keep Pests and Diseases Away. There are parts of a nature-like environment that you absolutely want to avoid when storing potatoes, and pests and diseases should be at the top of that list! Birds, rodents and insects are all threats to your potato stock, and can introduce bacterial, mold and fungal infections to your stock. Storing all of your stock in bulk can expose much of your crop to these dangers. Storing potatoes in smaller containers can be time consuming, but also reduce the risk that a pest or microbe could destroy a significant part of your crop. Diseases can be introduced in storage, as well as during international or domestic shipping operations so it is important to monitor the security of your stock at every stage of the supply chain. Pests should be monitored for regularly and buildings checked for holes and gaps through which pests can gain entry. 3. Keep their Appealing Colour. Although pests and diseases can destroy your produce, it is equally important that the environment that you store your potatoes in does not cause them to turn unappealing colors. Depending on the kind of potatoes that you are growing, the color will of course be different, but poor storage conditions can cause discoloration in all varieties. Prevent sunburn and freezing with careful light and temperature control to prevent discoloration from reducing the visual appeal of your crops. Proper airflow will control temperature and well planned storage will keep light off of potatoes, which can cause greening and sprouting. Delicious from Farm to Table. In the end, you want to grow and harvest the best quality potatoes for your consumers. Because the storage and shipping process can be so detrimental in keeping them farm fresh and up to your standards, it is very important that you use a number of methods to keep them safe. Vented bulk bags are a dependable potato storage and shipping option, and our customizable panel styles will help to create the perfect solution for you. No matter the storage solution you decide on, it is best to ensure that your crop remains farm fresh. Contact us today about our vented bulk bags.